Not all cruises are expensive, nor all of them are cheap. However, the latter fact becomes true if you go for the year-before or last minute booking when almost all cruises offer some discounted rates. Now, this is irrespective of the destination. 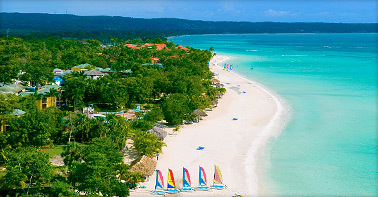 Therefore, cheap cruises to the Caribbean are also available, especially for its southern zone tour. No matter what others say, but the Caribbean is best explored via cruising because via a sole itinerary, you get a chance to visit the different islands and cities; which has a big bonus – cruising all the highlights without having to spend differently for each one. In addition, the cruises ensure a comfortable stay in its staterooms, offers meals, and conducts onboard activities of fun for just a single price. All this will cut off your different traveling costs and hotel prices. These are the basic advantages that come with additional savings if you look for cheap cruises to the Caribbean. Here are some of them that take you on an affordable tour of the southern Caribbean. This cruise of the Carnival Cruise Line is available from $249 per person on the Web site of Cruise Cheap for a seven-night tour as of 2010. After starting its itinerary from Puerto Rico’s San Juan, the ship will stop at St. Thomas in U.S. Virgin Islands; Bridgetown in Barbados; Dominica and St. Lucia in Caribbean; St. Maarten; and St. Kitts. Do not wish for any days on sea, as each day gets you to a new island. And that even on board, there is no lack of activities as well as amenities such as health club and spa, pools, nightclubs. However, a few of the amenities remain closed or are not available when the ship waits on a port. Address: Carnival Cruise Lines, 3655 N.W. 87th Ave., Miami, FL 33178; Phone: 305-599-2600; Web: carnival.com. This is the ship from the Royal Caribbean cruise line whose cheap package is available on the Cruise Critic site. For a Caribbean tour, the Royal Caribbean is always the most famous choice for the families as well as for the rich. For some seven-night cruise, the rates begin at $67 per day or $469 per person. 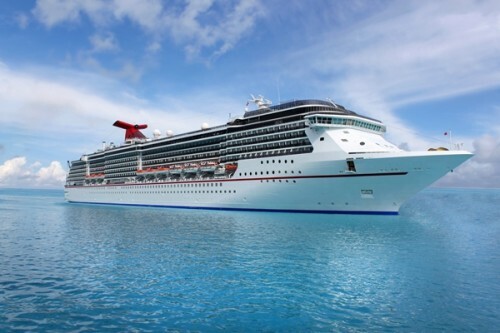 Like the Carnival Victory, even this one departs from San Juan to take you to Dominica, Aruba, and Curacao. Just like other ships of this cruise lines, the Adventure of the Seas ship also offers a lot to do onboard. So, enjoy ice skating, roller blading track, rock climbing wall, and the Royal Promenade that acts as a classical Main Street full of restaurants, shops, and clubs. Address: Royal Caribbean International, 1050 Caribbean Way, Miami, FL 33132; Phone: 305-539-6000; Web: royalcaribbean.com. This is from the Norwegian cruise line whose best deal is offered by the American Discount Cruises and Travel for a 10-night tour to the southern Caribbean. The deal rates starts from $55 per day or $549 per person. Unlike the above two ships, this one departs from Miami and then halts at Road Town in the British Virgin Islands’ Tortola; Dominican Republic’s Samana; Dominica’s Roseau; Antigua’s St. John’s; St. Kitts’ Basseterre; and Barbados’ Bridgetown. On the board, your entertainment is completely ensured by its 13 restaurants, nightlife clubs, several pools, and a full service spa and health club. Address: Norwegian Cruise Line, 7665 Corporate Center Drive, Miami, FL 33126; Phone: 305-436-4000; Web: ncl.com. Cheap cruises to the Caribbean are available during the period between Labor Day and Christmas, but the days close to Thanksgiving and Christmas are always relatively costlier. During the fall, the prices reach their lowest level as holidays now become school days. After Christmas, the cruise prices go worst by incredible hikes and that the hurricane season still remains.